We all are aspired and inspired by the the feeling of love to a great extent. Sooner or later everyone wants to fall in love with their chosen partners in their lives. Though one can find the importance of love in everyone’s life seemed very much different yet the colors of the love seemed to tempt every one of us. Some can even find their love in the very first choice while some will not. 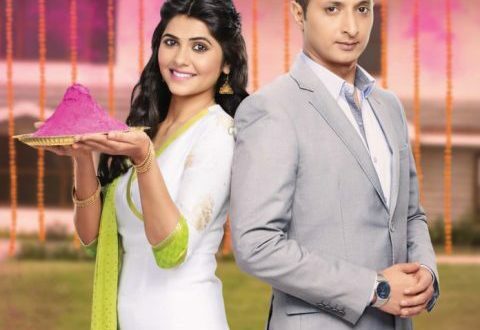 We have seen the story of two mad lovers a number of times, but the TV show called ‘Radha Prem Rangi Rangli’ is going to explore the love saga between the lead characters called Radha and Prem who are seen getting accidentally married to each other! For one marriage, it is simply a deal for the others, while for others it could be everything! How will their love going to blossom? Well, you can catch the same with the new TV serial called ‘Radha Prem Rangi Rangli’ on the Colors Marathi from the 24th November that is seen coming every Monday to Saturday sharp at 9 pm. This serial stars are seen from Sachit Patil who is the one who is making his comeback on the small screen after a long gap and the actress Veena Jagtap in the lead. Also, we get to see the stars as well called the Kavita Lad-Medhekar, Shailesh Datar, Akshaya Gurav, Niranjan Naamjoshi, Gautam Joglekar, Rugvedi Pradhan & Aparna Aparajit in the TV show who are going to play the other key roles. So better don’t forget to tune to the popular Marathi TV channel called Colors Marathi every Monday to Saturday at 9 pm from 24th November. And yes, don’t forget to share your views on it by unleashing your comments below. You never know you get some surprise for that.